KEAM 2019 Exam Dates have been revised. Kerala Engineering, Agriculture and Medical (KEAM) is regulated by the Commissioner of Entrance Examination (CEE), Kerala. The CEE will organize entrance exam only for engineering & pharmacy course in Kerala State. It will not conduct any exam for B.Arch. & Medical and Allied courses. The admission into allied and medical courses will be on the basis of NEET score. In this article, we have mentioned the detailed information about KEAM 2019 Important Dates including releasing date of application form, hall ticket, result, counselling etc. KEAM 2019 Exam Dates have been revised. The examination will be conducted on 2nd May (Paper I) & 3rd May 2019 (Paper II). Check other dates from below. KEAM 2019 Registration is available through online mode. The application form has been released from 3rd February 2019. Candidates can fill the KEAM online application till 4th March 2019. The last date for receipt the print copy of the application form along with the documents will be 31st March 2019. Candidates are able to download the KEAM admit card 2019 on 16th April 2019. KEAM Exam will be held on 2nd & 3rd May 2019. The authority will release KEAM answer Key 2019 in the month of May 2019. Candidates will challenge the answer key till May 2019. After one month of the examination, the result will be declared. Candidates will check the KEAM 2019 result on or before 25th May 2019 for Engineering Entrance Examination. 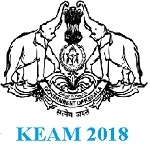 KEAM rank lists 2019 will be released on or before 20th June 2019. The KEAM 2019 counselling procedure will begin after the result declaration. It may be started in the month of June 2019. The application form for KEAM 2019 has been released through online mode. Only one application form has been accepted to any or all of the courses. While filling application form also upload photograph, signature & thumb impression. The authority has also provided correction facility via online mode. After submission of application form, candidates must take printout of their form for further use. The application fee can be submitted via online as well as offline mode. Online mode includes via credit card, debit card or net banking. E-challan method can be used via offline mode. If you have any queries about KEAM Exam Dates 2019, you can drop your comments in the comment box. Can I register for neet and keam at the same time next year? I am studying in UAE, 11th grade. and belonging to obc category. Can I apply for obc reservations? I WOULD LIKE TO SEND MY DAUGHTER FOR B.PHARM OR PHARM.D IN KERALA AFTER THE KEAM ENTRANCE 2019.THE ENTRANCE EXAM ONLY FOR PHYSICS AND CHEMISTRY.FOR BIOLOGY THERE IS NO EXAM…GIVE ME IDEA..
How many seats are for states other than Kerala. Where is the exam center’s. How come it says that KEAM took place on 23-24th April. Exam was conducted for engineering courses. There is no paper for biology in keam. FOR PHARM-D ADMISSION WHICH EXAM KEAM OR NEET? No admission will be given through NEET or KEAM. I didnt apply KEAM 2018 for medical entrance exam. I applied Neet 2018 and AIIMS2018. Is it possible for me to apply KEAM MEdical Course now? Application form filling is necessary to appear in KEAM. Im am looking to apply on medical course. which all exams sholud i have write?? I’m a student applying for medical entrance, do I have to write the exam too? Is the exam only for engineering entrance? in 1st week of Feb.
My son studied his 10th (CBSE) in Muscat and +1,+2 in Kerala, is he eligible to apply Engineering Entrance Exam in General category ? or he should apply in NRI category. Kindly reply. All govt and private colleges under Kerala state. My son would like to register for KEAM. He is an NRI and don’t have Aadhar card. can he apply? when(date)can we apply online? My daughter wish to appear KEAM ,she is studying in Sharjah U A E ,in Sharjah Indian School CBSE Delhi board.Which quata she will belong?Open or N R I?? Yes, you can apply with nativity certificate. When can i download the online application form of kerala engineering entrance exam 2018. Last date of keam registration. registration dates are not out yet. What is the date of kerala entrance??? 23rd April (for physics & chemistry) and 24th April (for mathematics). hai am from kerala ,i want to get an admission in mbbs in our state collage .should i attent keam for it? you have to attend NEET for that. Keam exam for engineering & agriculture courses. KEAM or other under CEE Kerala. I was born on Jan 26 2001. So am I eligible for KEAM?? hai iam from kerala will there is any entrance exam for b.pharm in govt. colleges.if so that which is that entrance? yes it is CEE Kerala. I missed filling online application form for medical 2017 , is there any offline procedure also, pls inform . when is keam exam for candidates registered for bpharm ? I am jahana.My keam rank in medicin is 18121.May i get agriculture/veterinary? How many marks in KEAM will help me secure admission in a medical college in Kerala? Please advise. Thanks. The cut-off list not announced yet. Thanks. I needed just an estimate of the marks required to secure admission. What was the cut off marks for KEAM students regarding admission to MBBS in the year 2015? I am a resident of west bengal. I have appeared on 10+2 exa on rFebruary. Am I eligible for KEAM? I havent got my ADMIT CARD till now.is there any any problem? the site closes on 27.Do you know why? The admit card is not released yet whenever it announced we will update in our website. i send the application form to the commissioner.can you please tell me now should i do? how can i get the admission form/hall ticket? It will be released in the official site of keam. The date is not announced yet. if you not of Kerala Origin but has been a resident of Kerala State for a period of 5(five) years within the period of 12(twelve) years of your study. Then you eligible for NK1 category. Sir now i am not studying in kerala but studied from 2008 to 2012 std 6 to std 10 (05 years) in kerala. Am i eligible? I’M FROM DELHI.COMPLETE MY STUDIES FROM DELHI VIA CBSE.WILL I AM ELIGIBLE FOR KEAM ENTRANCE TEST? You belong to Non-keralite II category. THE PHOTO UPLOADED FOR KEAM 2016 WAS 16KB AND THE PIXEL WAS 150X200.BUT WHEN THE PRINT OUT WAS TAKEN IT REALLY LOOKED VERY SMALL…WILL MY APPLICATION BE CONSIDERED OR NOT?? PLS REPLY…. you can contact to the keam officials regarding this. sir I am in last sem . I am doing diploma in ece . I have no domicile of kerela at all. I want to be appear for lateral entry test. what should I do? You can apply for the domicile certificate. It is compulsory to have a domicile. It will be decided by the conducting body if you qualified the examination. The no. of seats will also decided by the conducting authority. Self Attested copy of the SSLC or equivalent certificate to prove date of birth, in case Date of Birth is not certified in the Course Certificate issued by the Head of the Institution, in the Application. Course Certificate in original duly filled in with signature and seal of the Head of the Institution in which the candidate is studying OR Self Attested copy of the final year mark list of the qualifying examination. Original certificates as proof in support of any claim for special reservation. Inter-Caste marriage certificate, if applicable. Self-attested copies of mark lists of ALL PARTS of the BSc. Degree Examination and Higher Secondary or equivalent Examination with Physics, Chemistry and Biology as optional subjects, in case of those seeking admission to Medical courses. birth place is Kerala. Am I entitled as Keralaite ? Am I eligible for KEM entrance? No, you are not belong to the keralaite category. Yes, it is necessary. The certificate can be obtained by applying to Tehsil / Sub-tehsil offices under Revenue Administration Department. The name of applicant is used same as in passport eg applicant’s name mother name and father name(example RAJEENA SAFIYA NOUSHAD). But the school certificate, income certificate,non cream-layer and nativity certificates are only applicant name and initial of mother(RAJEENA S).Kindly requested to confirm whether it acceptable? My Birth place is Bangalore. But my parents birth place is kerala Am I entitled to apply as Kerlaite? Is, bihar student can fill the form for mbbs, bds. I am born in Odisha, studying at Tamilnadu through ICSE, my parents are keralite,Am I eligible for kem entrance? I am born in Odisha studying in Tamilnadu through ICSE my parents are keralite, am I eligible for non -keralite category. You are eligible for Non-Keralite Category II [NK II].